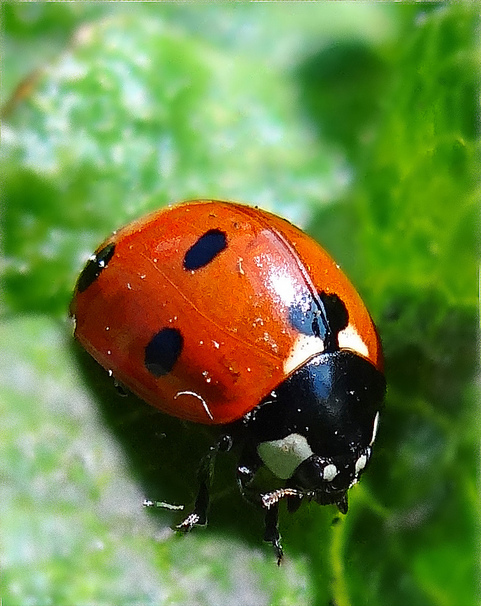 Ladybug; photo by hopeful<3 (ill/off) on Flickr (noncommercial use permitted with attribution / share alike). Also called lady beetle, ladybird, or ladyfly, the most common variety of ladybug found in Massachusetts is the two-spotted lady beetle (Adalia bipunctata). 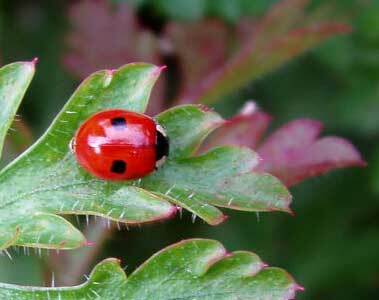 According to John Losey, a Cornell University entomologist who leads the Lost Ladybug Project. (a project funded by a National Science Foundation grant recruiting citizen scientists, particularly children, to search for nine-spotted ladybug and other ladybug species and send photos of them to Cornell for identification and inclusion in a database), there are about 5,000 species of ladybugs, also known as ladybird beetles, with about 450 species in the United States. Two-spotted ladybug; photo by Auntie P on Flickr (noncommercial use permitted with attribution / share alike).